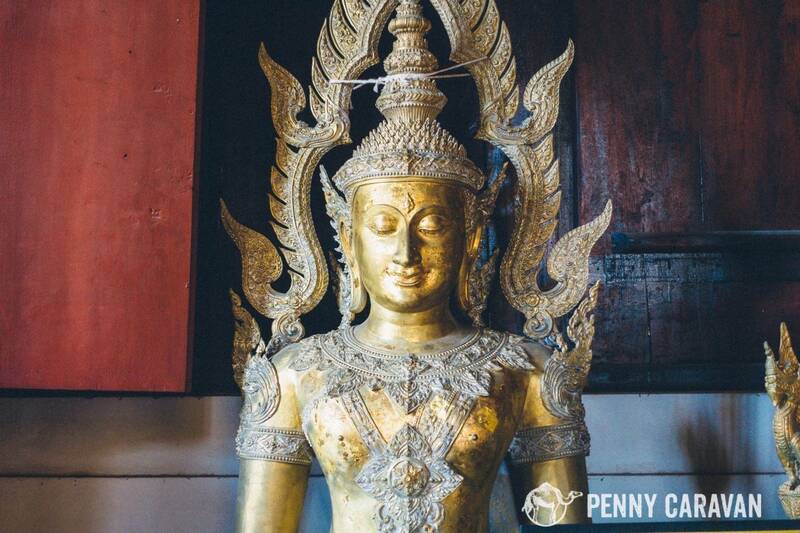 Chiang Mai exudes an ancient charm that may be hard to find in other areas of Thailand, but it’s not as old as you’d think! 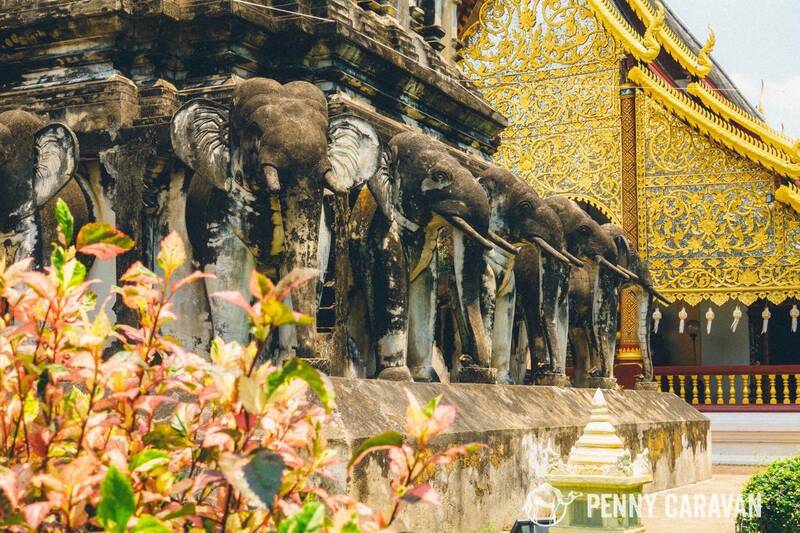 It was established as the capital of the Lanna Kingdom, which controlled much of Northern Thailand, in 1296 until the area was incorporated into Siam in the 1800s. Many of the 300ish wats, or temples, in Chiang Mai are from the Lanna Kingdom time period, and are characterized by their steep pitched, multi tiered roofs. 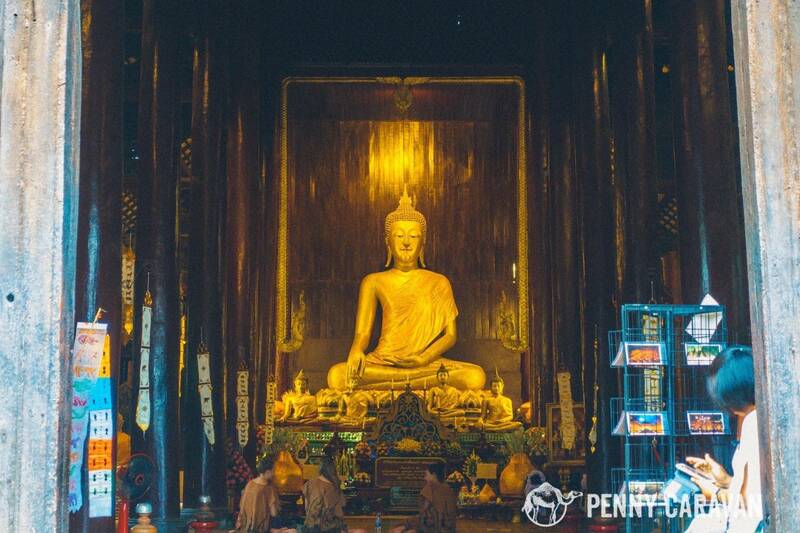 Knowing there are so many temples to see can be a bit overwhelming, so our best advice is instead of trying to cram them all in, pick out 3 or 4 to visit that sound the most interesting to you! 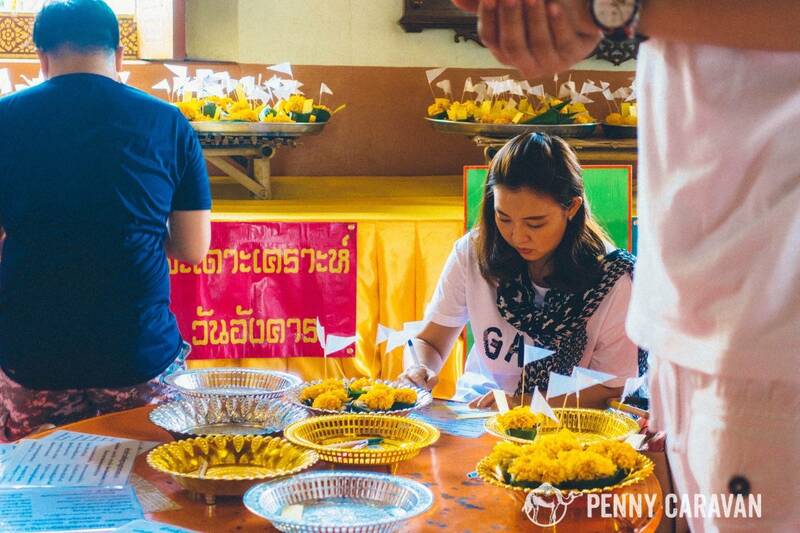 · The wats are usually free to enter, but some may have a suggested donation of around 40 baht each. 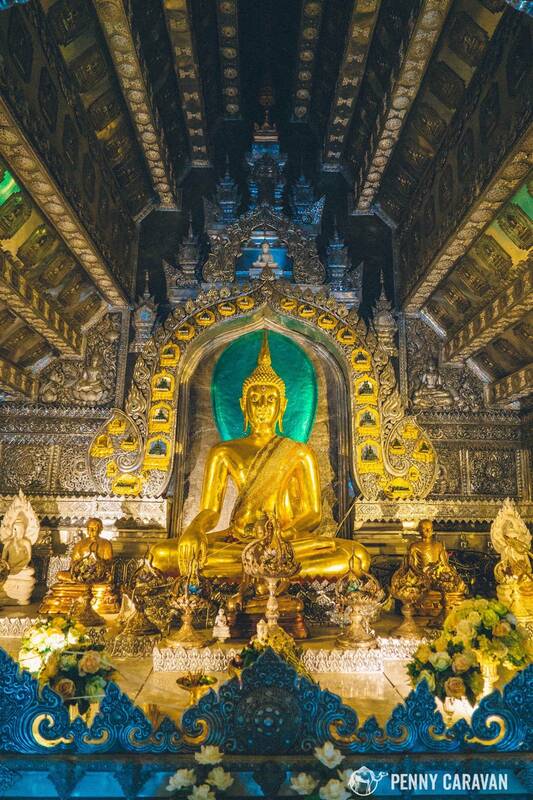 · As with every religious building around the world, you need to be quiet and respectful, don’t walk in front of someone who is praying, and dress appropriately—no shorts or tank tops. 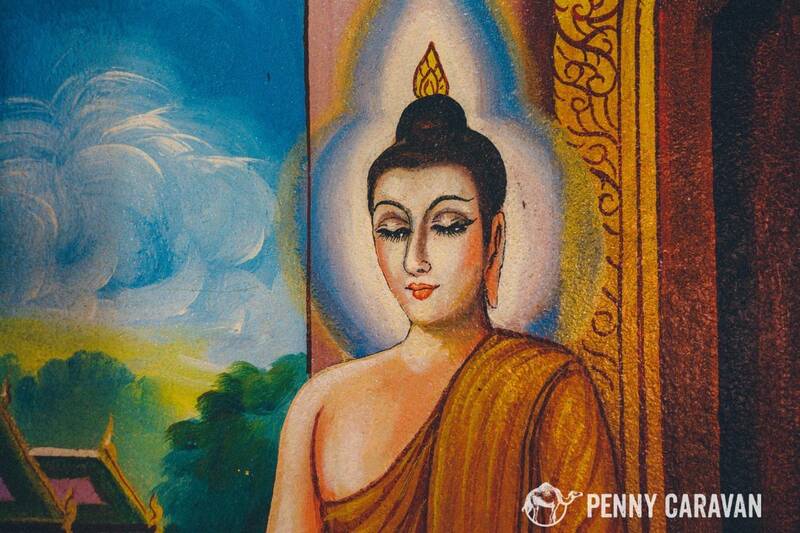 If you decide to sit and pray, either kneel or sit cross-legged as it is considered disrespectful to point your feet toward Buddha. · The term wat encompasses the whole temple grounds which may include a monastery (kuti) or library (ho trai) among other buildings. Wat can also be used to describe the campuses of other religions. 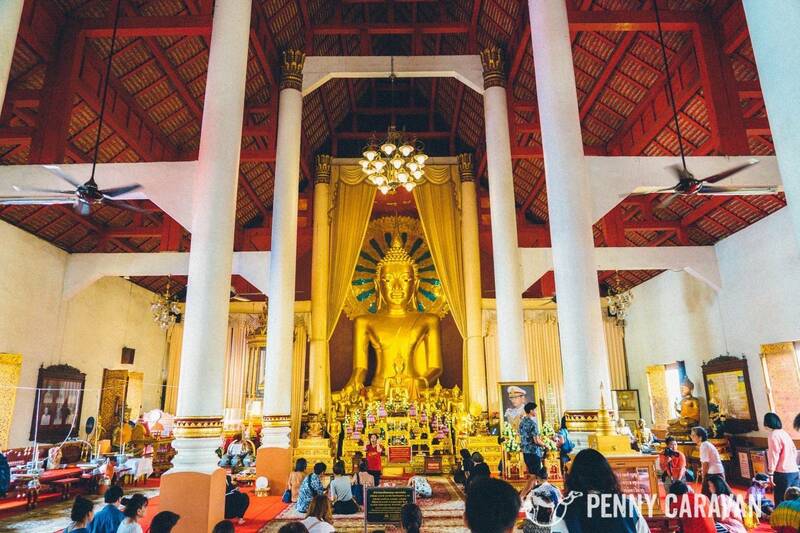 The main building where people come to pray is called the viharn. 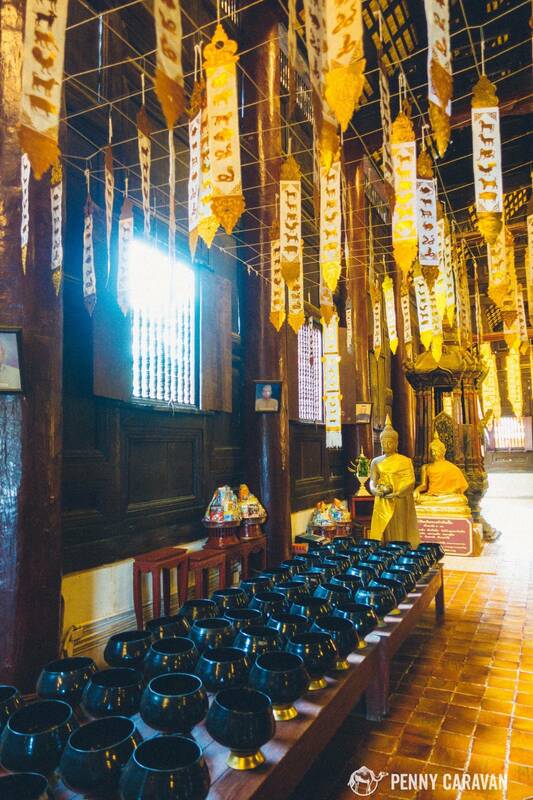 There will always be a building called a bot or ubosot which is used for special ceremonies and monk ordinations. Traditionally, women are not allowed in this building, but it is rarely enforced. If they do intend to enforce this rule, they will usually have a sign in English so just be sure to check for signs. 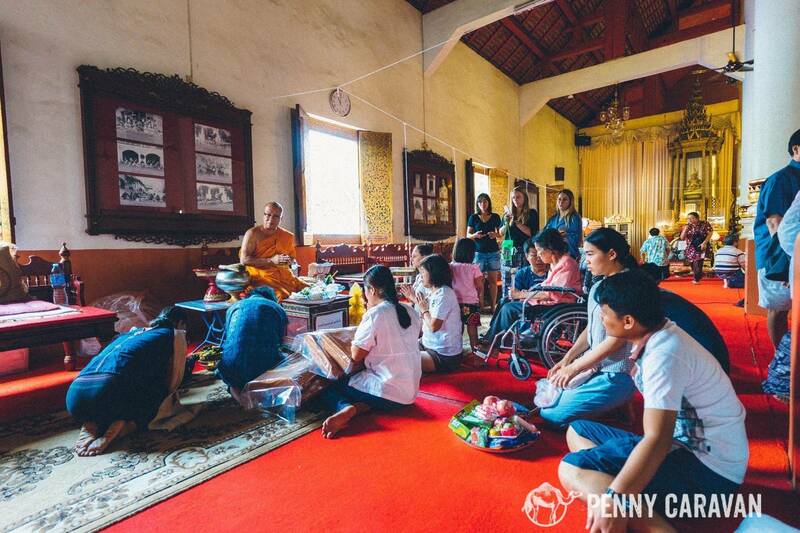 · If you wish to learn more about Buddhism or Thailand in general, join a “monk chat”! 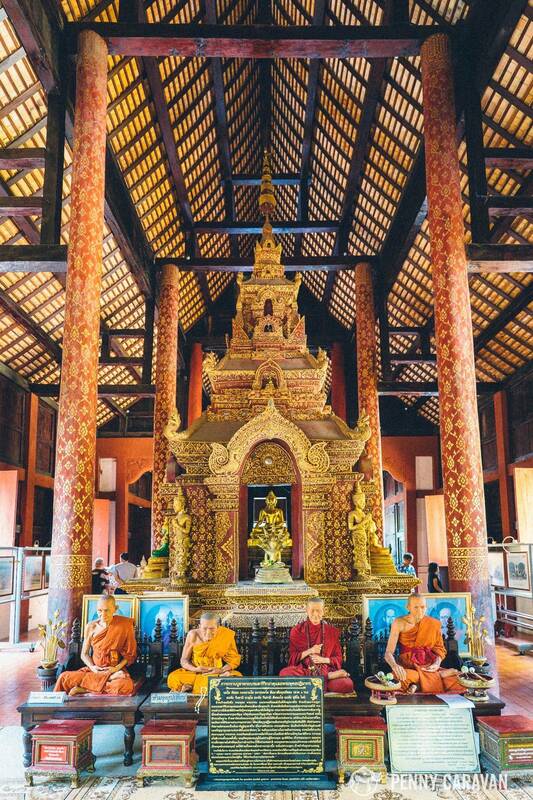 Many wats will offer an open invitation to sit and have a chat with the younger monks. It gives them a chance to practice their English and get to know people of other cultures. 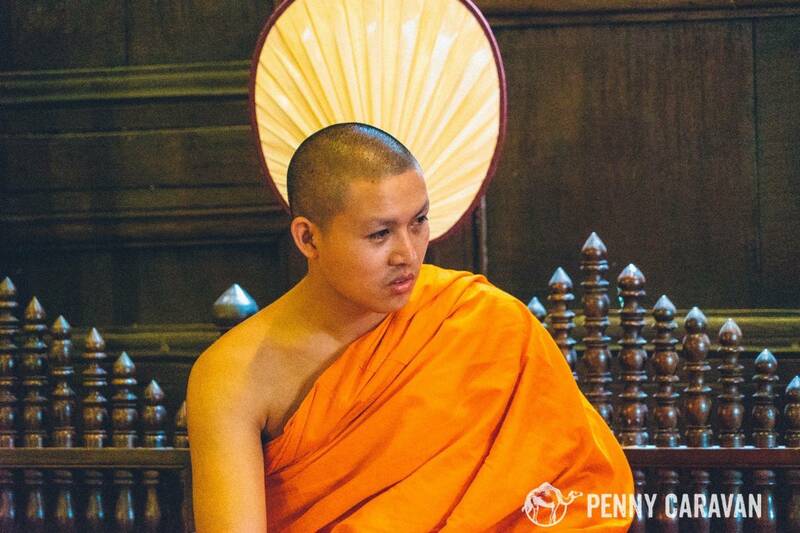 There are no set talking points—this is an informal, round table discussion with young monks who are usually quite shy, and a fantastic chance to have a beautiful cultural exchange that will surely end in a few smiles. Different temples offer this on different days and times, so ask around to find out what time to arrive at the temple of your choice. This is one of the easiest wats to find as it is right in the center of the old town. 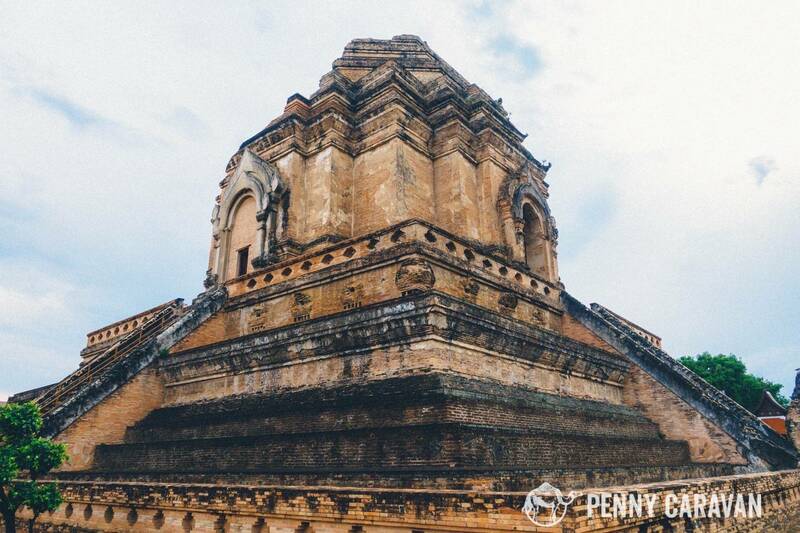 The chedi is impossible to miss—it’s a huge stone structure with naga serpents on each side, guarding the remains of a king enshrined inside. 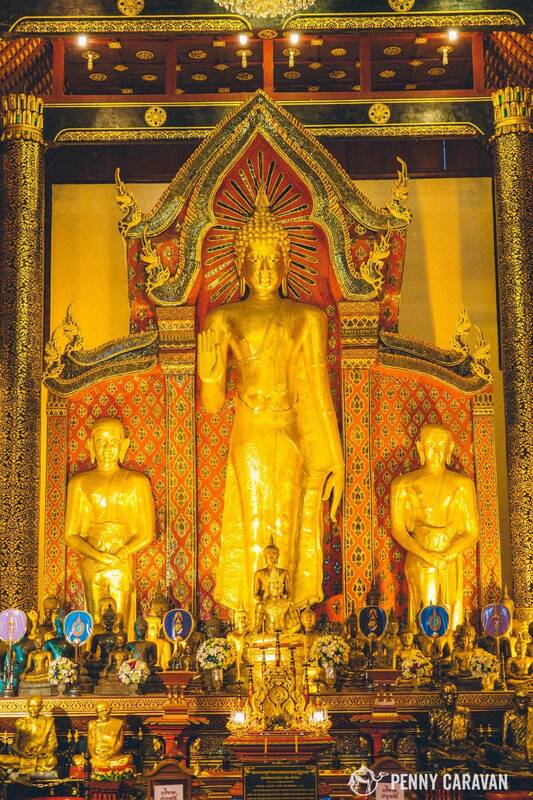 This temple is the original home of the emerald Buddha which is now in Bangkok. Walk all around the grounds and you’ll see many smaller buildings each with unique Buddhas and architectural styles. 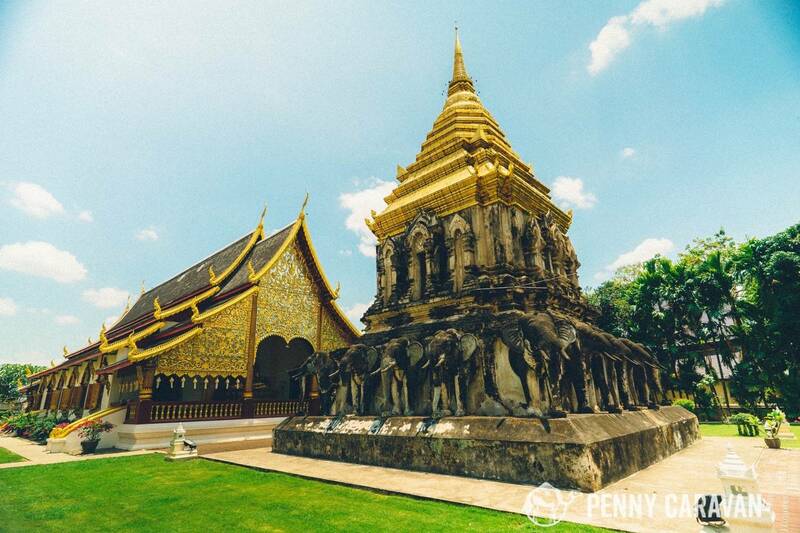 The chedi was damaged by an earthquake in the 1600s and is now half its original height. The main viharn, where people come to pray. Another older teak wood viharn on the grounds, named Wat Phan Tao. 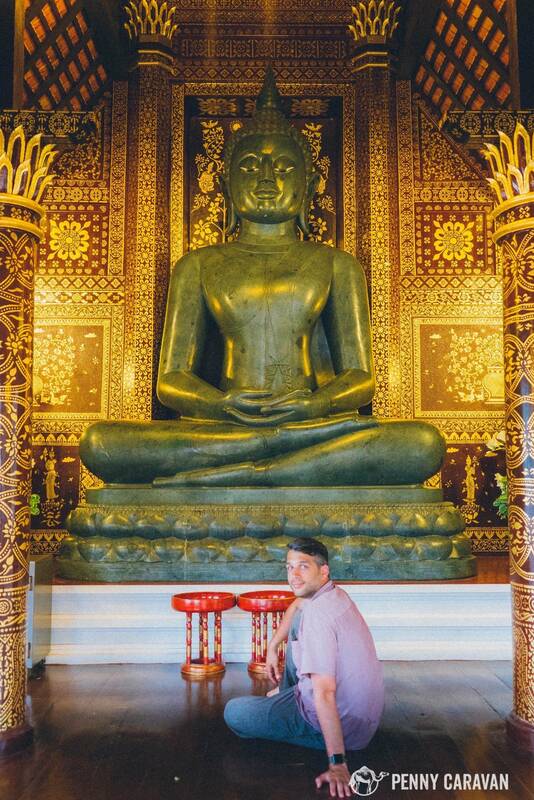 Shane sitting with the Buddha! 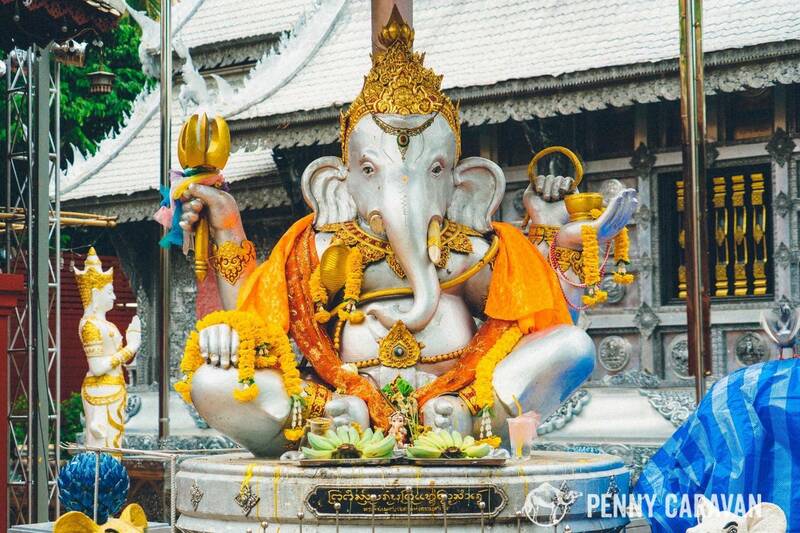 This is the oldest temple in Chiang Mai, established at the city’s founding in 1296. 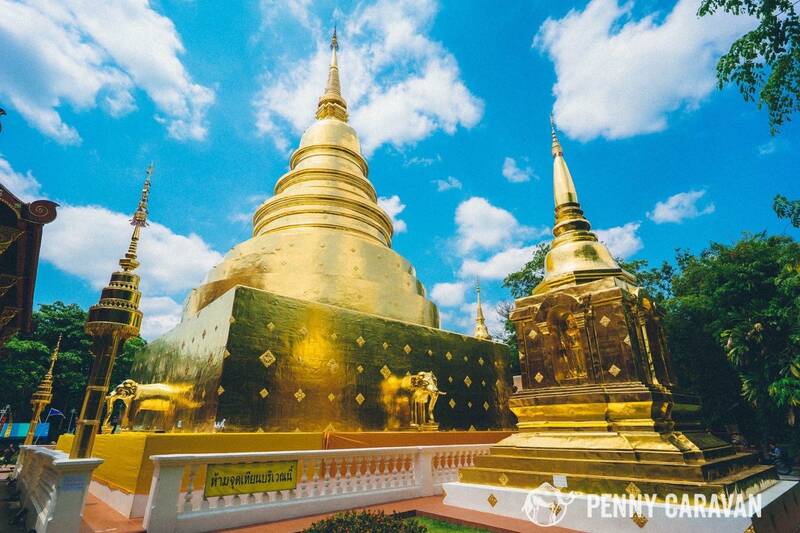 The stone chedi is surrounded by elephants and holds a relic chamber in the golden top. 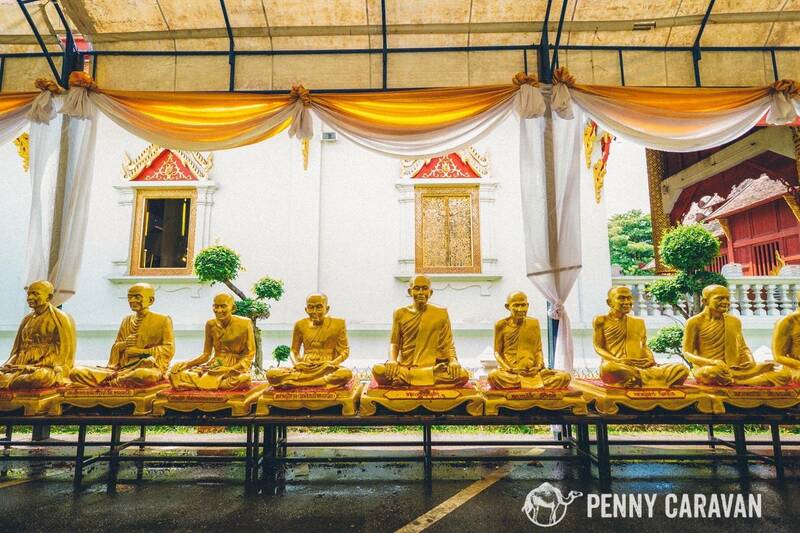 The viharn buildings on the site house some of the oldest Buddha images in Chiang Mai. Stone elephants surround the chedi. Little relics on the steps, next to a sign that says “Don’t go up” (the stairs). The main viharn at Wat Chiang Man. 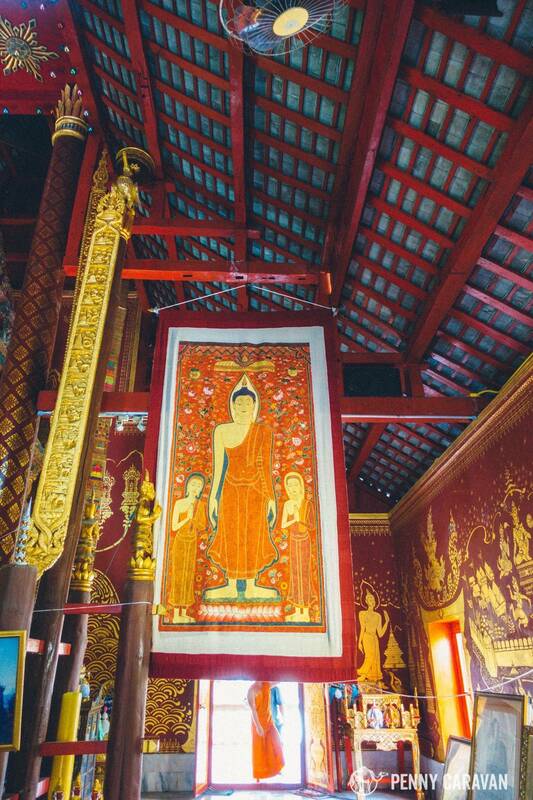 Inside the viharn at Wat Chiang Man. 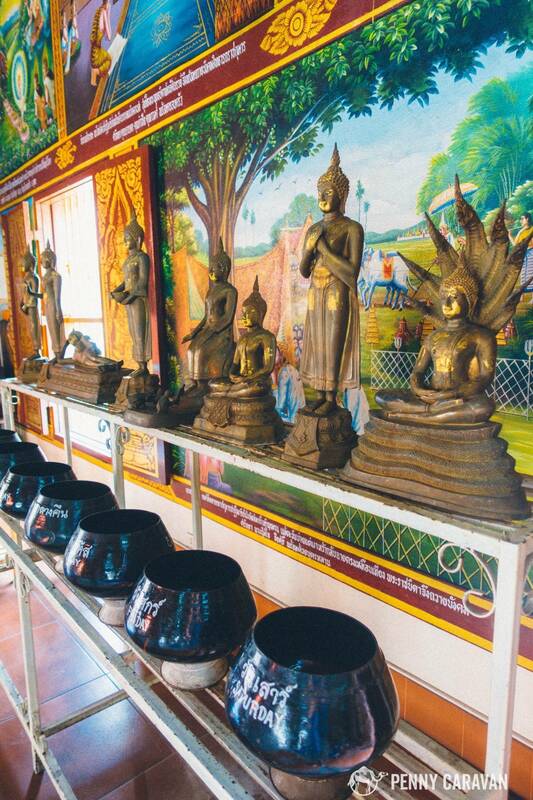 Murals depict the life of Buddha, and below are alms buckets for each day of the week. 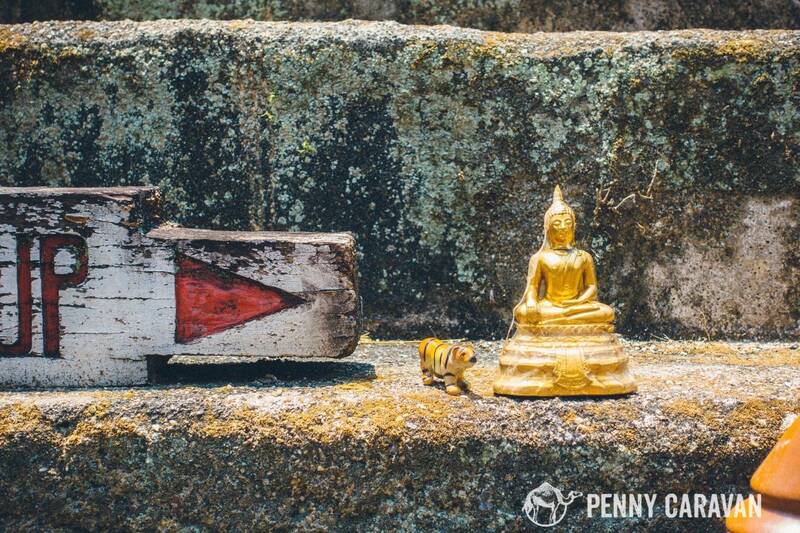 Highly guarded crystal Buddha and a thousand year old stone Buddha that is thought to have the power to bring rain. Walk around the old city enough and you’re bound to come across this temple as it sits just inside one of the main gates. 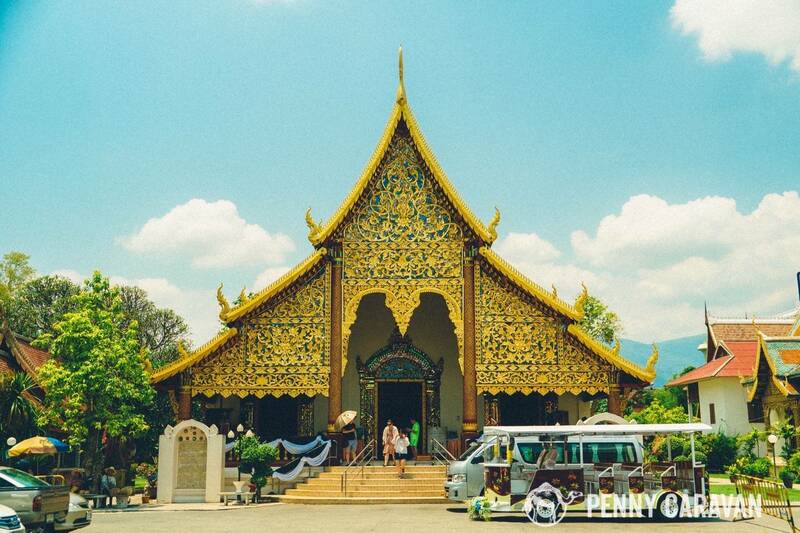 This is a popular temple that is considered the best example of Lanna-style architecture. 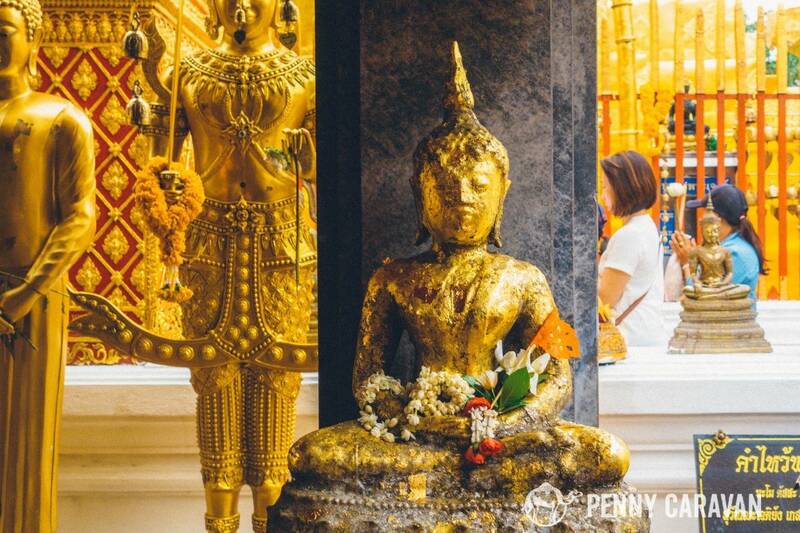 The Phra Singh Buddha statue has a mysterious history which attracts pilgrims from all over Thailand, and when we visited during Songkran (the Thai New Year), the statue held a place of honor outside so that visitors could sprinkle water on it. 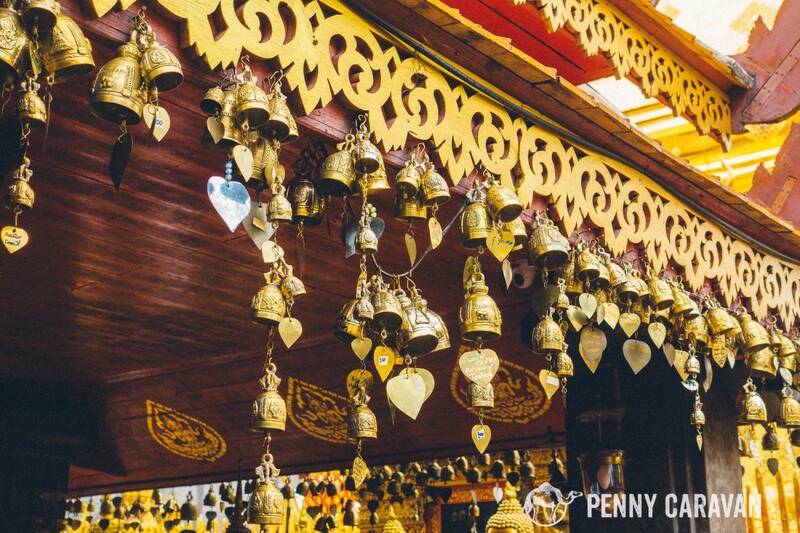 The temple was booming with families making offerings, bringing food to the monks and spending time with their elders! 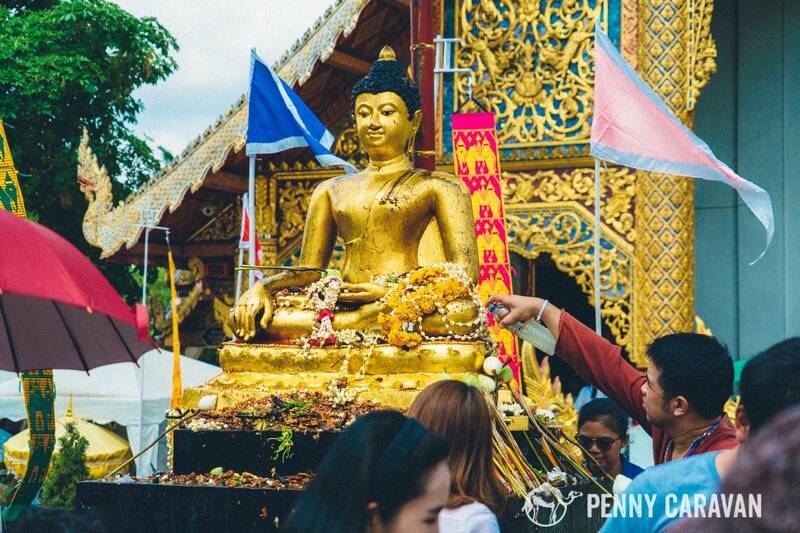 Pouring water over the Buddha at Songkran is a purification ritual. Families bringing offerings and being blessed by the monk. 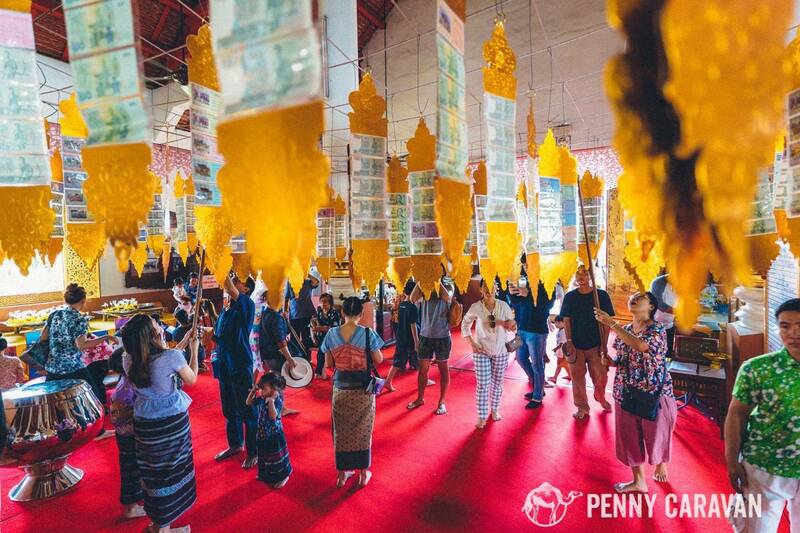 Offerings hanging from the ceiling. 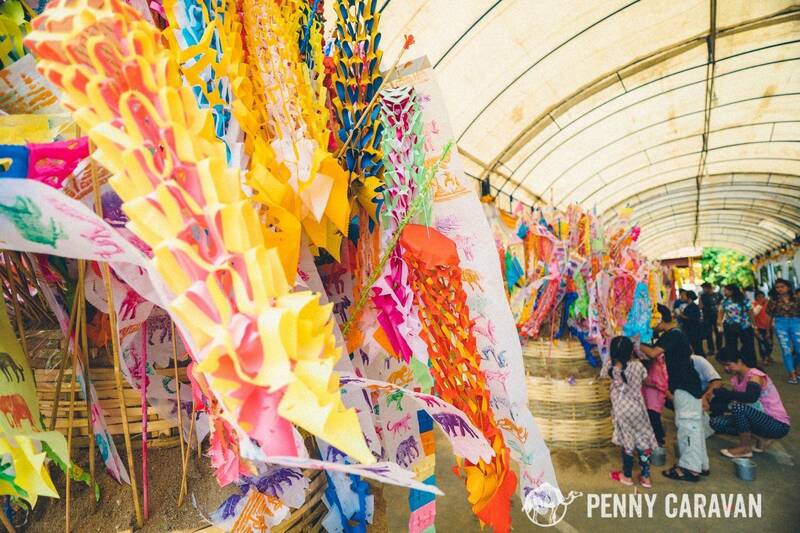 Lots of places to make offerings inside the temple! 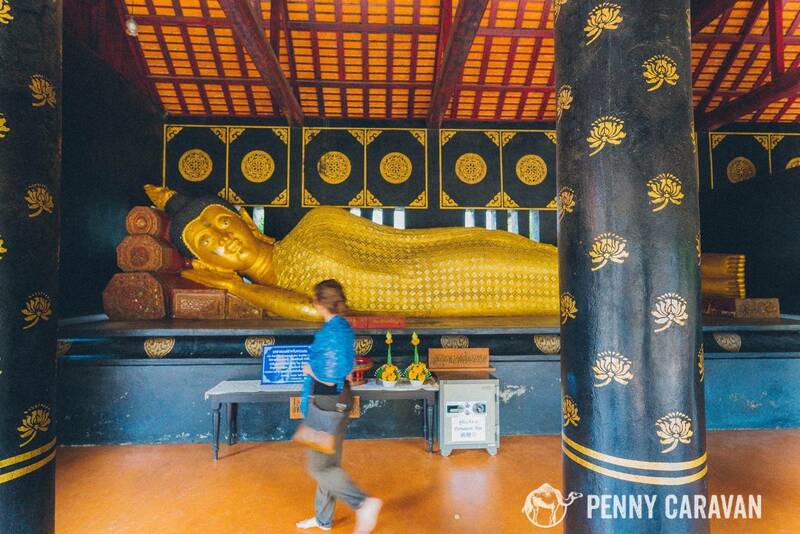 Naga serpents appear at every temple because they once protected Buddha while he was meditating. 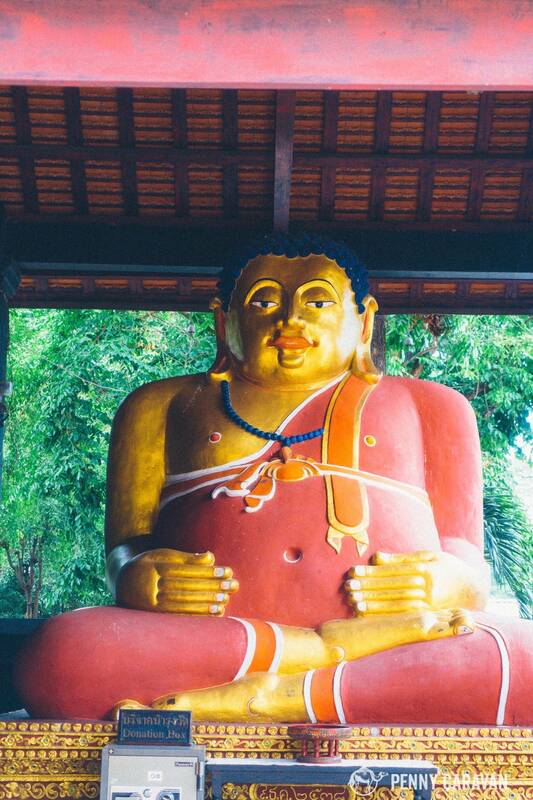 Monks are memorialized with statues in their likeness. 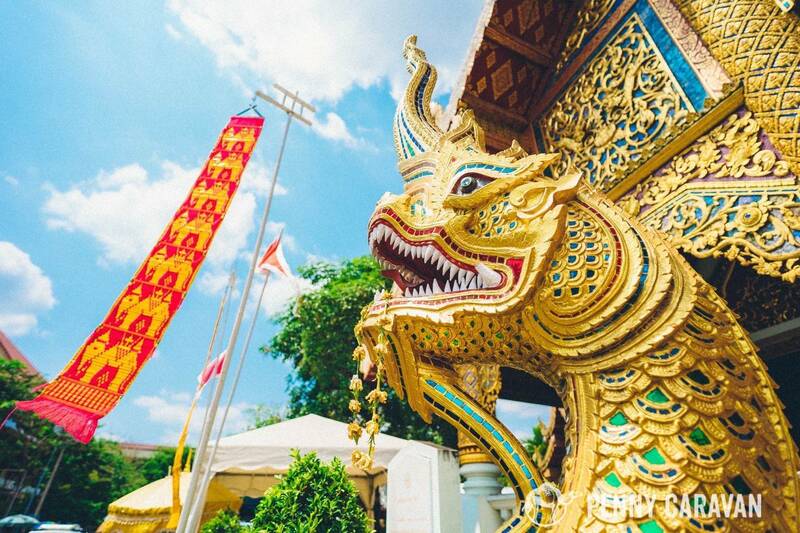 Also on the temple grounds is the ubosot where important ceremonies take place. 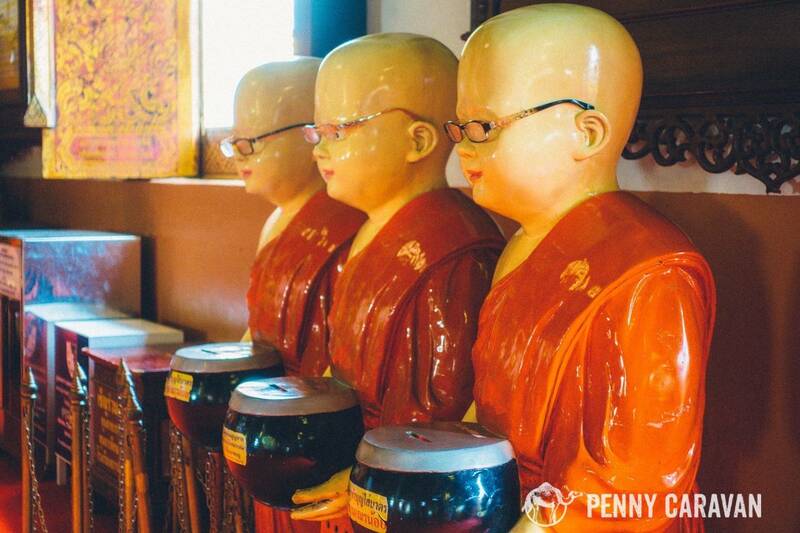 These monks are memorialized in wax. 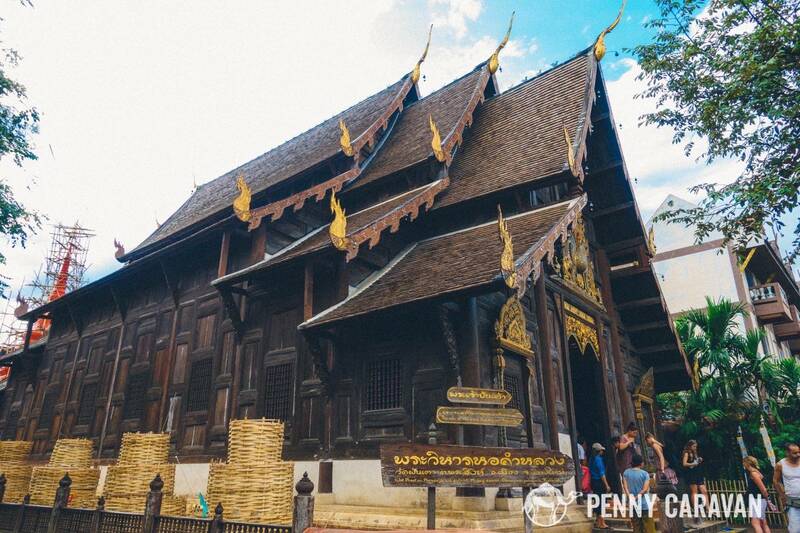 The beautiful wooden building of the ubosot. 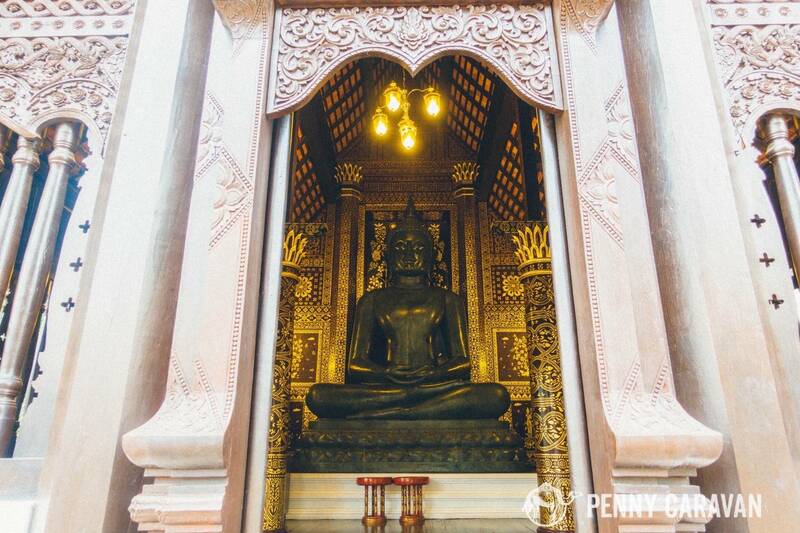 Gorgeous Buddha inside the teak ubosot of Wat Phra Singh. Stupas on the temple grounds. 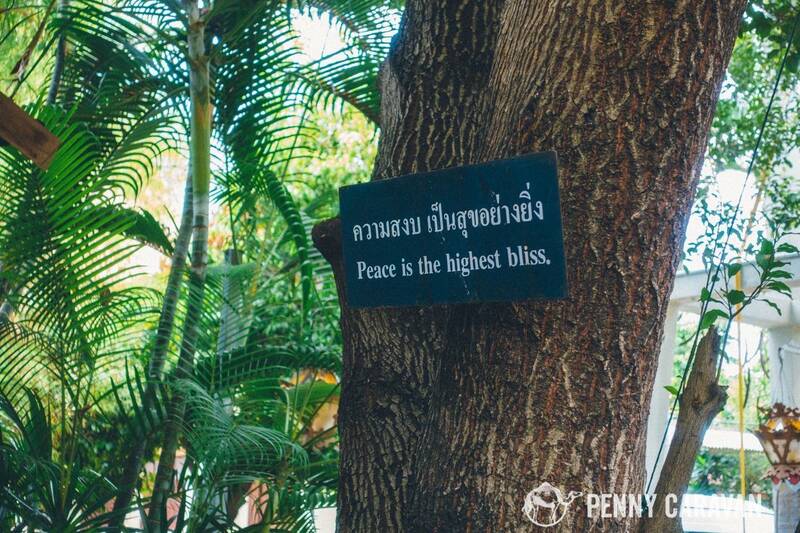 Don’t miss the garden where you can have a snack from the food stalls and spend some time among these wise trees! 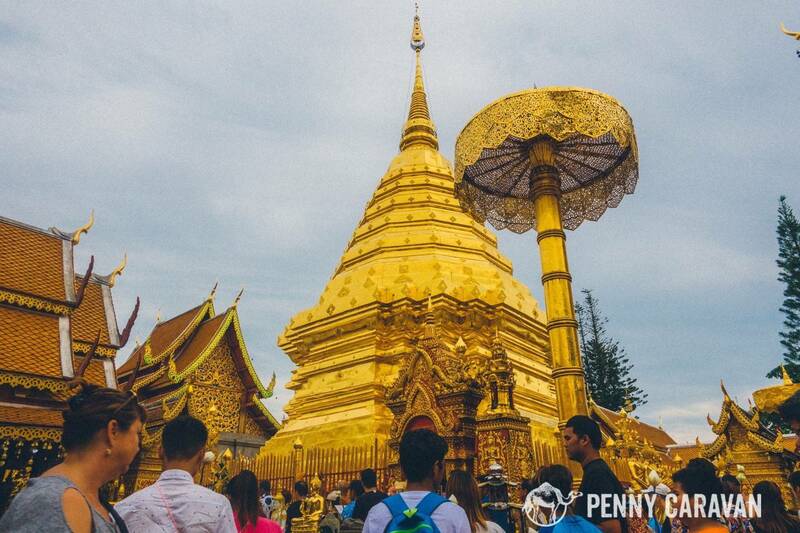 They say if you haven’t been to Wat Phra That Doi Suthep, you haven’t been to Chiang Mai. 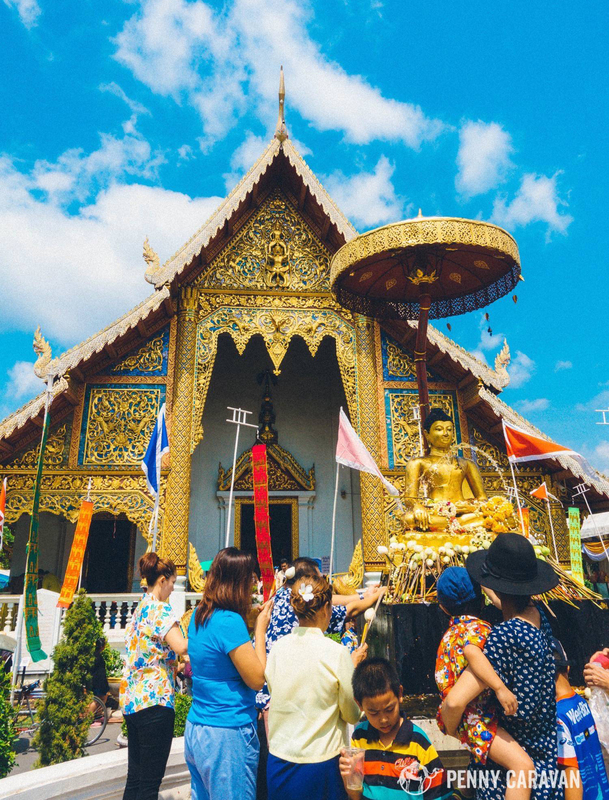 Perched on a mountaintop outside the city, this temple is a major pilgrimage destination for Thais. 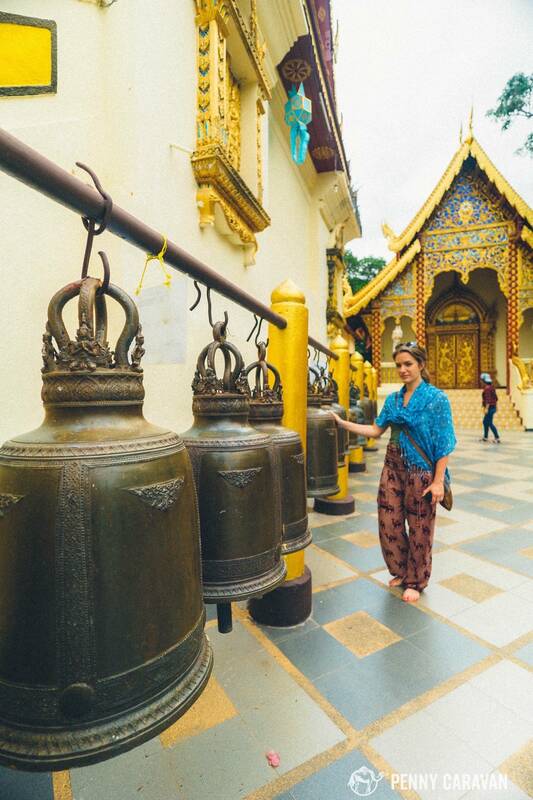 It is located in Doi Suthep National Park that boasts many waterfalls, bird watching adventures, hilltribe village markets, and even a royal vacation palace that is open to the public when the royal family isn’t visiting. From town, you can take a taxi or rickshaw to the mountain base where a songthaew waits to fill up before taking people the 15 minute drive up the mountain. 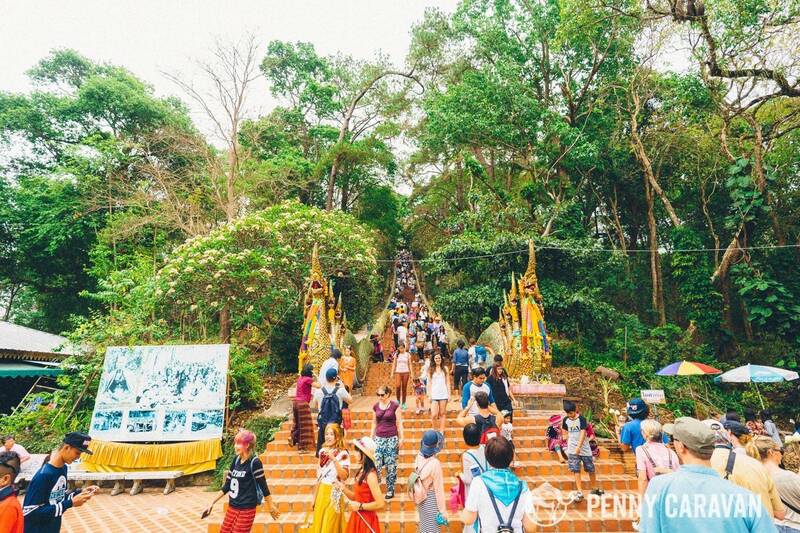 Once there, expect near shoulder to shoulder crowds as you ascend the 300 naga serpent-lined steps to the temple (cable cars are also available for hire). 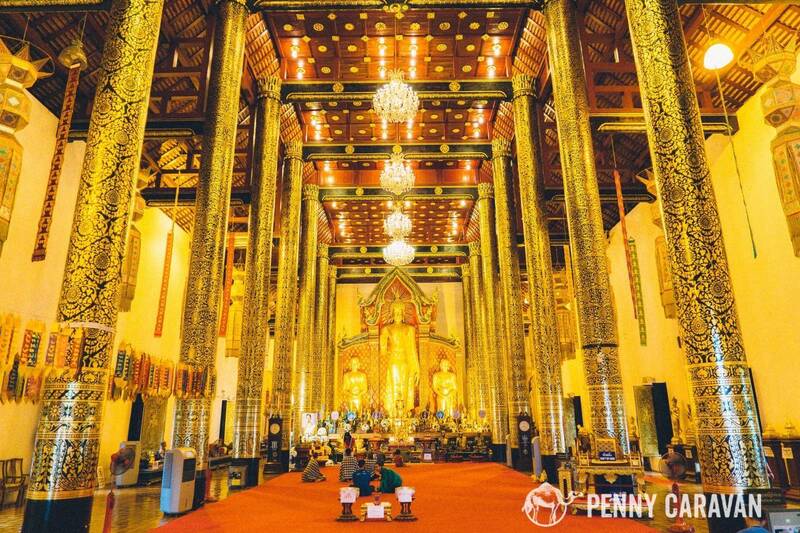 The temple impresses with a 24 meter-tall chedi, a model emerald Buddha, dozens of pagodas and bells, and a museum. Back down the steps, the temple grounds are surrounded by plenty of restaurants and shops, so you can make a day of your visit. This view of the stairs gives you an idea of how big the crowds are too! Flowers and incense are available for sale so you can give an offering. Bells line the entire complex! Our songthaew was so crowded, Shane had to hang off the back! 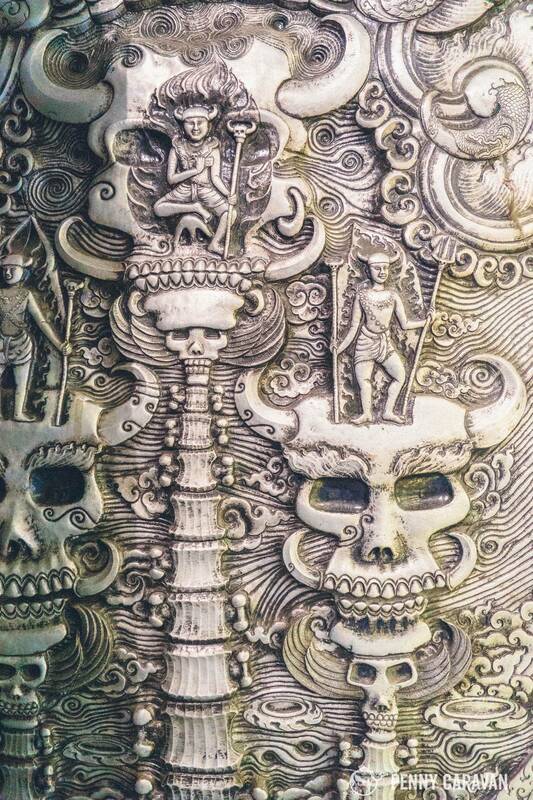 Though the silver temple is built on a 500 year old foundation, it’s one of the newest temples in Chiang Mai, every surface decorated in hammered plate aluminum so the whole thing shines like a jewelry box. 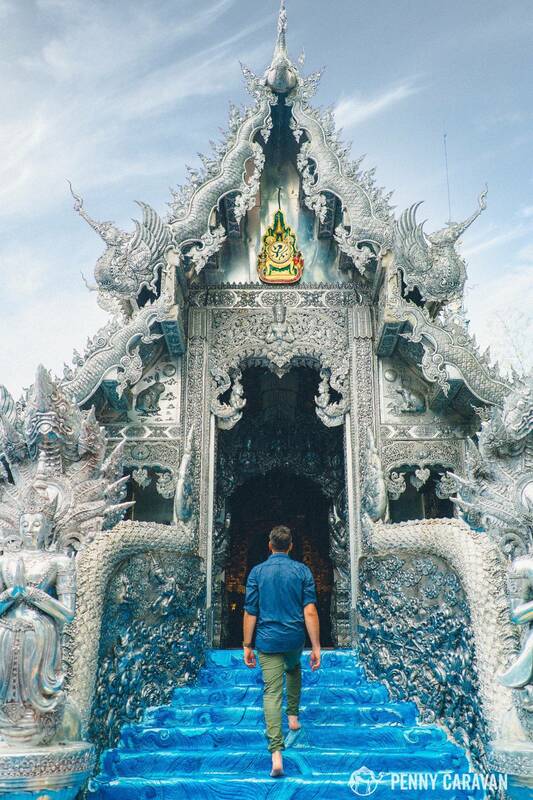 If you can’t make it to the Chiang Rai White Temple, this might be your best alternative as far as style, though it is much much smaller. As an ubosot, sadly, ladies are not allowed to enter this temple, so send a friend in with a camera if you want to see more of the interior, girls! 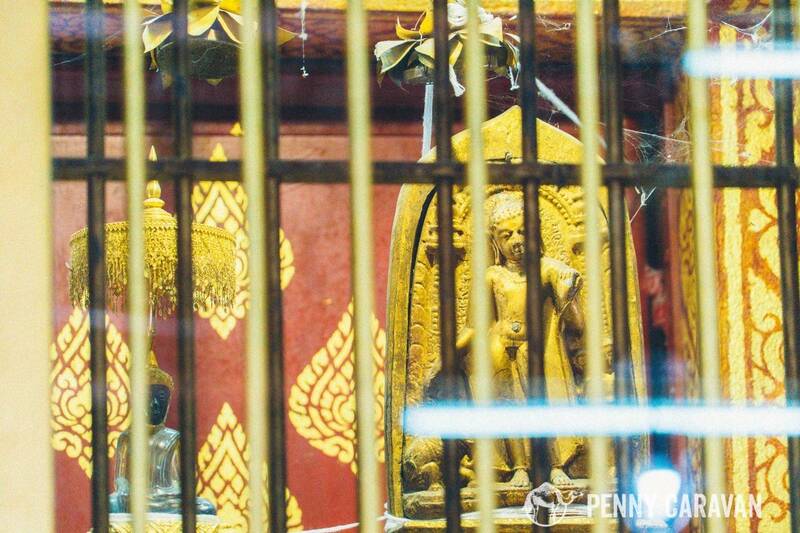 No women allowed at Wat Sri Suphan. Mix of Hindu and Taoist as well as Buddhist iconography. 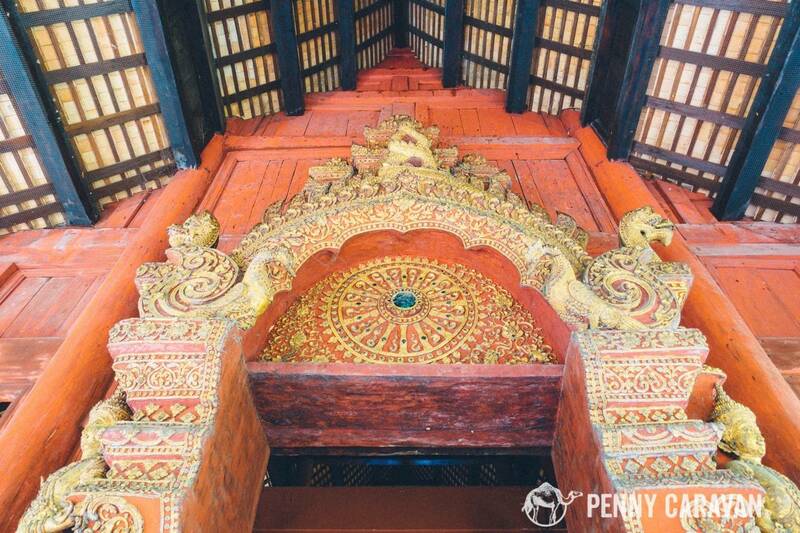 The interior of Wat Sri Suphan is full of intricate details! 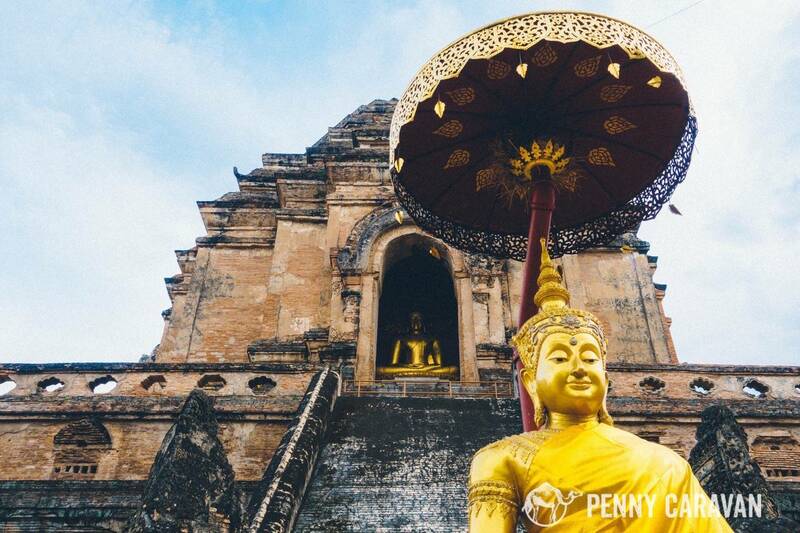 The best way to begin your visit of Chiang Mai’s temples is to start in the old city and pop into whichever ones you happen to come across in between snacking on Khao Soi and getting a Thai massage! 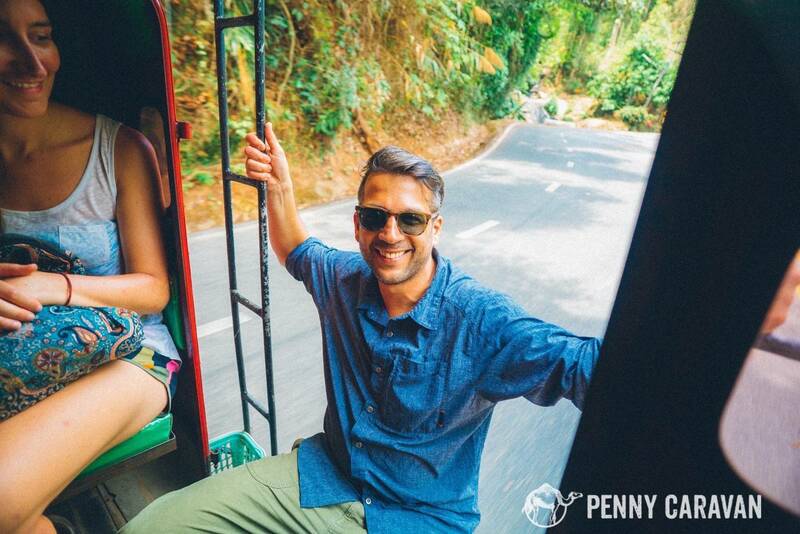 Once you’ve explored the old city, you can hop in a tuk tuk to take you to the temples outside the city walls, and they’ll probably give you a great deal if you hire them to take you to 2 or 3 in the same day. 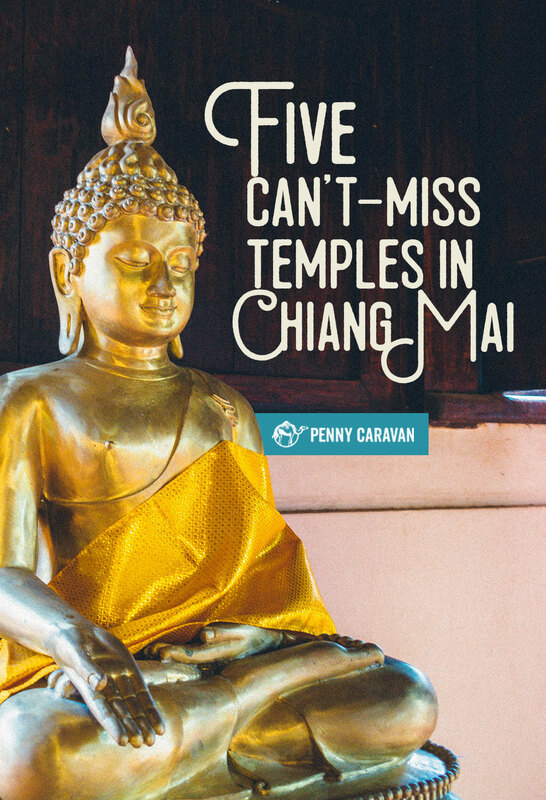 It can be hard to plan an itinerary with so many things to do in Chiang Mai, but visiting these temples is one of the most culturally and spiritually rewarding things you can do during your time in Northern Thailand. You won’t be disappointed!